Now a days, there is a great trend of launching smartphones at low price tag in the Indian market. In this race, Spice has recently launched its two latest android 4.2 Jelly Bean operating system based smartphones Spice Smart Flo Space Mi 354 and Spice Stellar Glamour Mi 436 at Rs. 3799 and Rs. 5999 respectively. Both the smartphones have dual GSM networks connectivity with all 3G features. 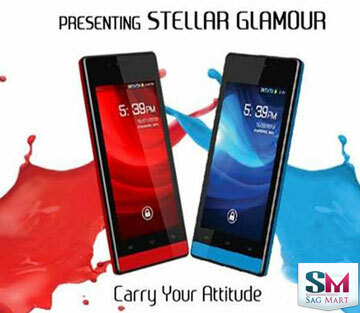 Enjoy both 3G networks connectivity system simultaneously in Spice Stellar Glamour Mi 436. The company has tried to challenge the other smart phone maker companies through these superb phones. Both the cellphones have very attractive look because of their large full touchscreens and thats why people like them.